Be sure and follow us on Facebook for the most complete updates. September 25th, The catalog is going to press on Monday. The citrus is almost ripe on the tree. We are excited for the 2015 Season to begin! January 31st, We are happy for some cool weather (40's) in Central Florida. The honeybells are expected to stay on the tree for another week. 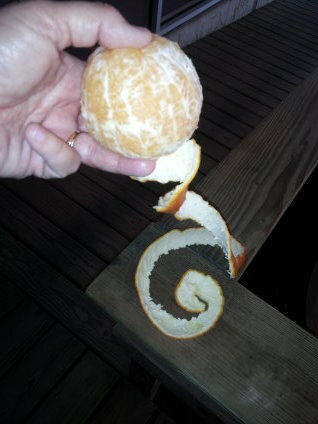 Today I was reminded of "Sleepless in Seattle" when I peeled a Honeybell in" one long, curly strip". January 2013 The first "picking" of Honeybells today. They will be in the store tomorrow, washed and beautiful. Honeybell lovers seem to be in a class of their own. Honeybellers wait all year for the month of January to be able to savor the one orange that they love. So for the next month I welcome all you Honeybellers to come in and we'll share a Honeybell together. 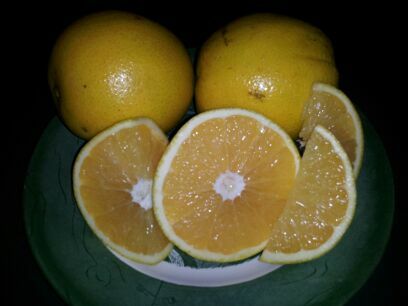 October 25, 2012 The first Citrus of the Season has come in. I'm always so happy to bite into the first Navel of the season. I miss them so much all summer long. This year,s crop taste so sweet. I wish I could push the flavor through the screen to you. September 30, 2012 We've had a great summer you can click over to the Tropical Nursery Website on the top tabs to see what we've been up to. Alliance at the stadium. It was fun to hear Mr Ireland, the General Manager and Coach Philbin talk about how excited they are about the upcoming season and the positive direction the team is going in for 2012. Can't wait for the new season to begin, I miss Football already. 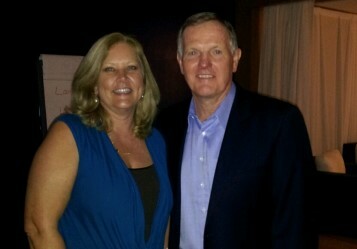 Many of the Alumni were there and I was lucky enough to get a picture with Mr Bob Griese. Feb 1, 2012 - Just to update those that have been around Spyke's for awhile, Mom is doing great. She still lives in the house on the property and enjoys hearing about the events at work at the end of every day.